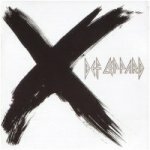 Def Leppard played a show on the X/Ten tour in Sheffield, England on 13th July 2002 and a fan review was sent in by Darren. The show took place at Hallam FM Sheffield Arena. The second of two promo shows on the same day (my first trip to Sheffield and first time seeing "Busted" live!). "The band started playing at about 9:50pm with "Let's Get Rocked" and finally we heard some rocking live music (although Michelle Branch also played live) and they sounded in fine form. After a few moments even some of the kids on the floor with their glow sticks and flashing bobbles on their heads started moving to the music. The band of course slightly modified their usual line in view of the family atmosphere of this event."